The Marche Region sits in the center of Italy with the Apennines to its west and the Adriatic Sea to its east, and is best known for its rolling hills, agricultural products, parks and nature reserves, and its seaside towns and beaches. It is also a great region to discover small hilltop villages and picturesque towns that have preserved their medieval and renaissance heritages. In October, I spent a few days in the Le Marche Region of Italy following the Travel Bloggers Destination Italy conference in Rimini. Admittedly, I had never heard of the Le Marche region before and was mispronouncing the name of the region (pronounced lay MAR-kay) until we started the trip. However, I was excited to explore this relatively unknown region of Italy. During our trip we visited the northern part of Le Marche region of Italy known as the “Hills Riviera” and focused on the major seaside towns along the coast. This would be a great area for those wanting to spend a week or so driving slowly along the coast visiting seaside towns, and equally well-suited for those who want a boating holiday as all the main seaside towns contain marinas. I’ll share our own experiences visiting the seaside towns along this area of Le Marche and also provide information so you can plan your own seaside holiday in Le Marche. Getting to the Le Marche area? The nearest airport is the Raffaello Sanzio Airport near Ancona, although we flew in and out of the Bologna Guglielmo Marconi Airport as it has a lot more international flights. Depending on where you are coming from you can also arrive by car (great road network across Italy although be careful as Italy has a high number of traffic accidents), via train (check out the Trenitalia website for train connections), by bus (this website is being set up to help visitors with bus schedules), or by boat (the Port of Ancona is a major hub for domestic and international ferries and boats). Best Ways to Get Around in the Le Marche? We traveled by van, and I would imagine that driving is probably the easiest way to get around this area as it allows you to come and go as you please. You can also reach most of these towns via bus and the bigger towns are connection by the intercity and regional trains; however, public transportation is generally more difficult to the smaller towns. So public transit can work but it will limit where you can go. 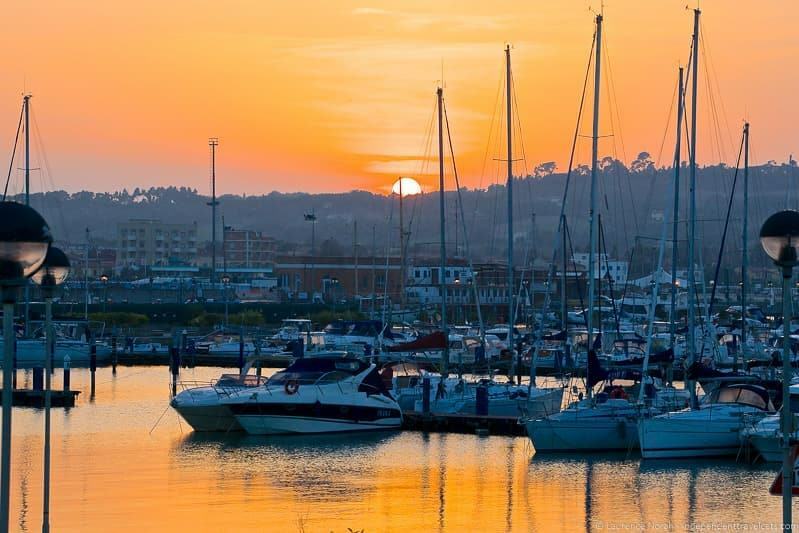 If you have a boat or are interested in renting one for a boating holiday, this is a great region to explore along the coast as almost all the towns (including Gabicce Mare, Pesaro, Fano, Senigallia) we visited had marinas and the Port of Ancona is a major domestic and international port. If you are wanting to burn off some of that great seafood and pasta, you may consider planning a biking holiday or just doing part of the trip by bike. There are a number of places where bikes can be rented or you can join a group biking tour, and there are also bike share programs in several towns in Le Marche. You can check out some suggested cycling routes for ideas. Taxis and rental cars are also available from the Ancona airport and in the major cities of the region. 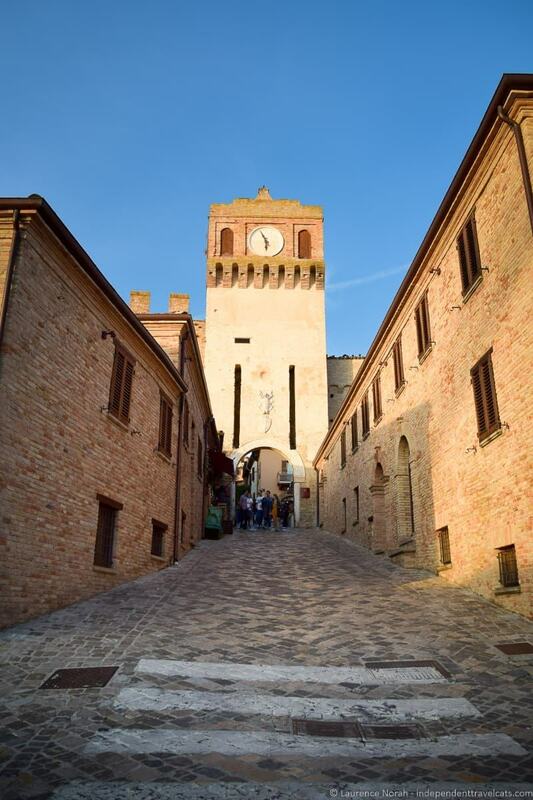 Best Time to Visit Le Marche region of Italy? It really depends of course on what type of holiday you want to have and the area you want to explore. The winter can be quite cold and snow can fall, especially in the mountain areas, and the months of July and August can be quite hot. Wettest times of the year are typically February to April and October to December. May and June and September and October can be great months to travel in this region to best avoid the heat, rain, and crowds. Le Marche region receives much fewer visitors compared to other more popular tourist areas in Italy so crowds are less of a concern in this region. What Should I Eat While Visiting Le Marche? There are a number of local products and dishes that you can try throughout the area, and you are likely to discover them on menus throughout your trip. Le Marche is a proud agricultural region and the major crops of the region are olives, wheat, and wine. The region is also known well-known for its seafood as it sits along the Adriatic Sea, and for its mushrooms, anise-flavored liqueurs, and cured and grilled meats. The most famous dish of this region is probably vincisgrassi, which is a baked pasta dish made with meat sauce and béchamel. The Adriatic coast is famous for brodetto, a fish stew, and many of the coastal towns in Le Marche have their own popular local versions of fish stew and you can taste the local variations up and down the coast. The town of Fano even hosts an International Festival of Fish Stew each year in July and Il Fuori Brodetto (a month fo being able to try fish stew in a number of restaurants for a set price) in September/October. Where Should I go in Le Marche? First, it depends on how long you have and what are your sightseeing priorities. You could visit a number of towns during a week with a focused itinerary and explore a good chunk of the region if you had two weeks or longer. Le Marche is broken up into five administrative provinces (Ancona, Pesaro and Urbino, Macerata, Fermo and Ascoli Piceno), and these can be good for helping to organize your trip. The area is great for those with a number of interests, including, beach holidays, castles and medieval villages, art history, boating, nature and archaeological sites, beautiful villages (you can see a list of all members of the club of beautiful villages in Italy by region), biking holidays, spiritual trips, etc. We specifically visited the northern coastal area of Le Marche and you can read about our coverage of those towns below for further inspiration. Where Should I Stay in Le Marche? There are a number of options in this area for accommodation, including hotels, resorts, pensioni, farmhouses, apartment rentals, and campsites. The Marche Region tourism board has put together a good resource on accommodation options in Le Marche. 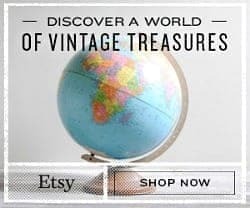 How Can I Find More Information about Le Marche? The Regione Marche tourism board has put together a very useful official website of the region which covers everything from transporation to itinerary suggestions, and you may also want to check out the Regione Marche regional blog and also this helpful website about traveling in Le Marche. You can also contact the Regione Marche tourism board by phone (+39 071,806 2431-OR- toll-free in Italy: 800-222-111), fax (+39 071 806 2318) or email (turismo.promozione@regione.marche.it -OR- comunicazione.turismo@regione.marche.it). Check out local tourism board websites and offices for further information on specific cities and events. As noted we traveled only within the northern part of Le Marche region of Italy known as the “Hills Riviera” and focused on the major seaside towns along the coast. We did this is a frenzied three-day trip (the joys of a being a travel writer!) but ideally you’d want at least a week to do this trip. If I had the opportunity to visit again and do a similar trip, I would probably also have added time to explore Urbino and a stop in and around Ancona. Our first stop after leaving Rimini was the seaside town of Gabicce Mare, which is a seaside town in the northern coastal region of Le Marche. It is known for its sandy and pebbled beaches and its green spaces such as those of the popular Natural Park of Mount San Bartolo. The town has a wide array of hotels and restaurants and is a popular place for hikers, cycling, and mountain biking. Great scenic views can be found at Gabicce Monte. 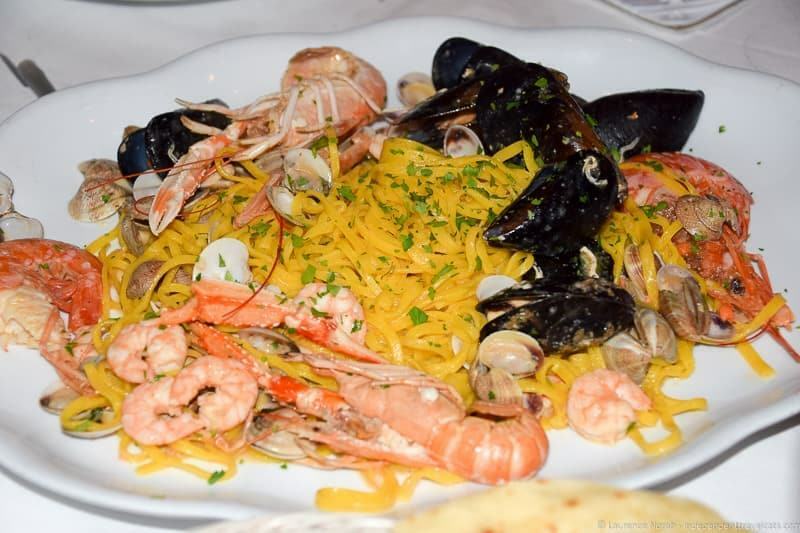 This was a great time to begin sampling seafood and we had quite the seafood feast at Ristorante Falco, situated in a great seaside location just outside the city. We stayed in Gabicce Mare at Hotel San Souci which had a relaxing pool area and great views of the beach and sunsets over the sea. This town was actually not part of our planned itinerary, but the grand castle caught our eye from the road and we just had to spend some time wandering around this picturesque medieval village. 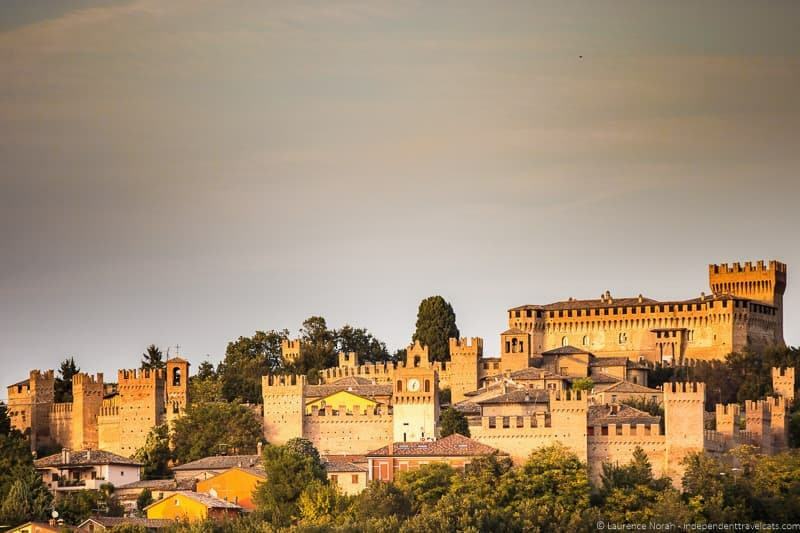 The town is located about 5km from the coast and the most significant attraction at Gradara is its medieval atmosphere and its beautiful castle (typically referred to as a fortress). Gradara has two sets of walls and you’ll enter the village through the picturesque Clock Gate and then you find a medieval town plan with the main street full of cafes, restaurants, chapels, and a few small museums. Our guide Ruth actually grew up in this town and told us that one of the typical dishes here is a pasta dish called bigol which is a homemade spaghetti-like pasta dish with meat sauce and/or mushrooms. 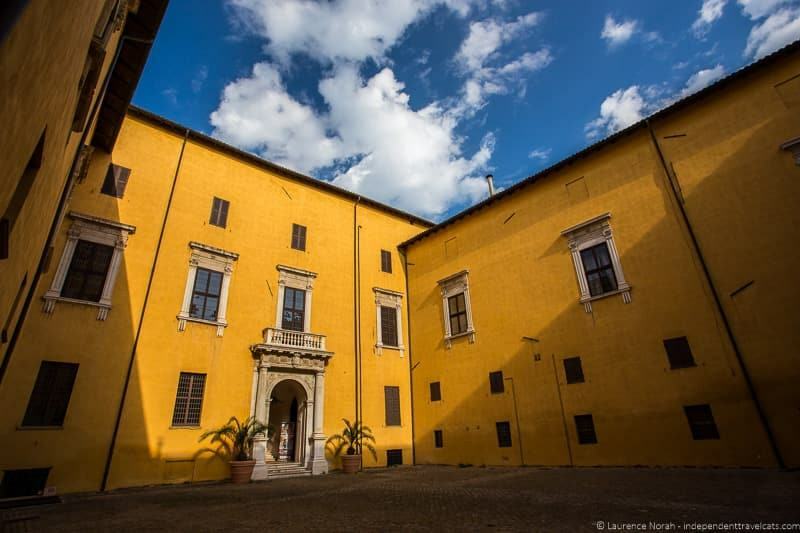 The castle has a rich history and is the place of the story of Paolo and Francesca, the ill-fated lovers immortalized by Dante in his “Divine Comedy”. We did not have time to actually visit the castle, but you can take a tour (current fee is 4 euros/person) of the inside of the castle which contains 15th and 16th century furniture, frescos, and altarpieces by Andrea della Robbia and Giovanni Santi. 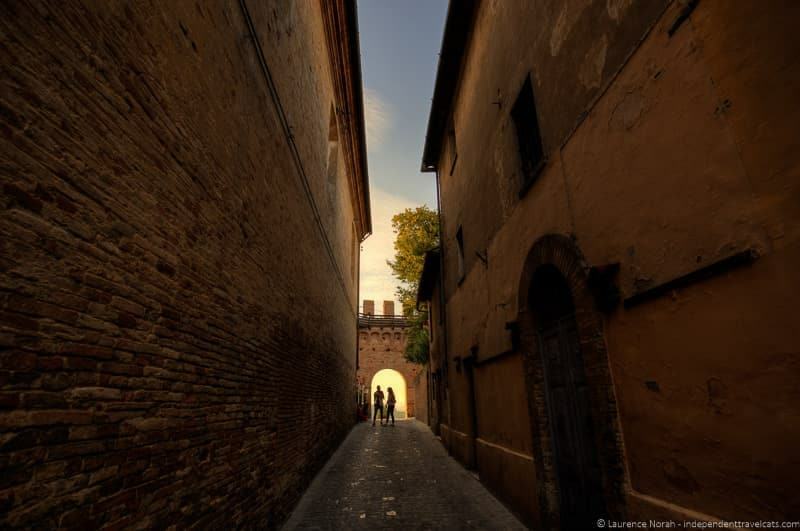 Around the castle you can take the recommended “Lover’s Path” (“Sentiero degli innamorati”) where you can enjoy a romantic escape to enjoy the views and landscape over Pesaro. This very large nature park (approximately 1,600 hectares of land) is located between Gabicce Mare and Pesaro and contains rolling hills, great cliffside views, vineyards, archaeological and historical sites, and ancient Greek ports. The park is an important place for bird migration and wintering for several species and is a good site for bird watchers. We admired the beauty of the park and also stopped to take a guided tour of the archaeological site of Colombarone which is located along the ancient Roman route of Via Flaminia. Recent excavations have uncovered parts of a late Roman imperial villa that dates between the 3rd and 6th centuries, and items such as combs, gold coins, and bracelets have been uncovered. We could see evidence of several rooms and even well-preserved tiles from the mosaic floors. 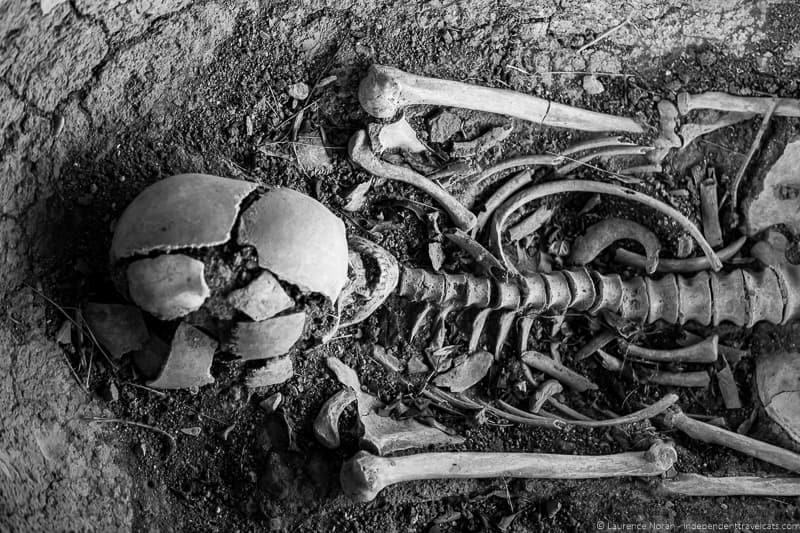 There is also a medieval burial complex here and we were a bit surprised to see a few human skeletons! This was also the site of an important early Christian basilica. Within this large nature reserve and park, there sits a number of small old villages and settlements, including Gabicce Monte, Casteldimezzo, and Fiorenzuola di Focara, which offer good views overlooking the Adriatic Sea. Before dinner, we actually visited a winery in Fiorenzuola di Focara called Tenuta Carlini for a tour, wine tasting, and wonderful spread of local Italian foods. Tenuta Carlini is owned and run by Andrea Carlini and his wife Angela Benwi, and the vineyards sits on ten acres within the Natural Park of Mount San Bartolo. We didn’t get a chance to see the vineyard, but we got a tour of the winery and most importantly a taste of several of the wines. 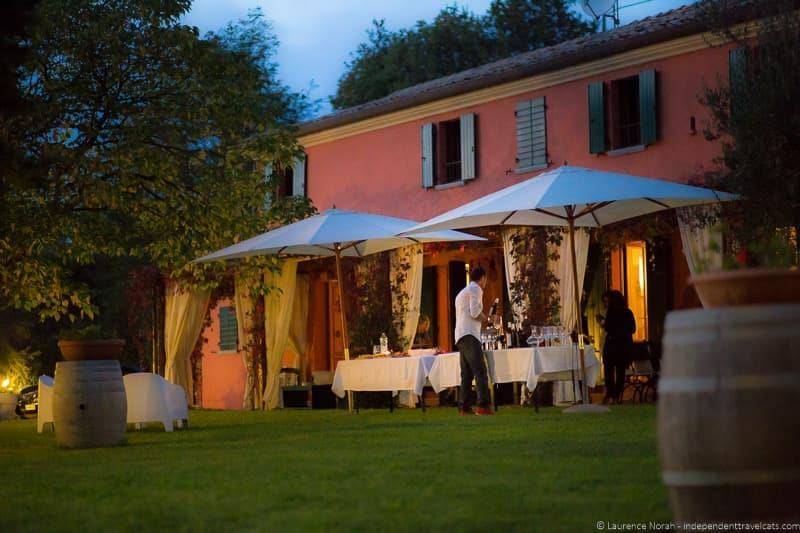 The winery is located in a beautiful, renovated villa that may eventually in the future be rented out for guests. Andrea and Angela were a very engaging and lovely couple, the wine and food was great, and it was a perfect location to experience the Italian apertivo! On our second day we headed to Pesaro, which is the second largest city in Le Marche and is known both for it beaches and its cultural attractions. In getting from Gabicce Mare to Pesaro, we drove along the ancient Roman route the Via Flaminia which runs from Rimini, Italy to Rome (because all roads lead to Rome! 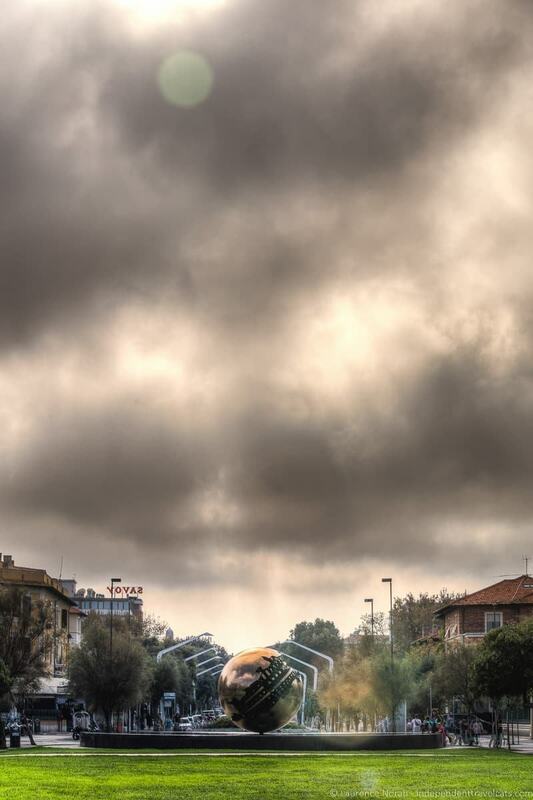 ), and you can follow this along the coast from Rimini to Fano. We specifically followed a panoramic section of this road from Gabicce Mare to Pesaro. There are a number of churches, monuments, fountains, and museums to explore in Pesaro, and some highlights for us were the 15th century Ducal Palace (check with Pesaro tourism office for available guided tours, generally provided on Sundays or by appointment), the massive Rocca Costanza (only open for cultural events but impressive facade), the Civics Museum (art and ceramics), and Casa Rossini (birthplace of composer Gioacchino Rossini). 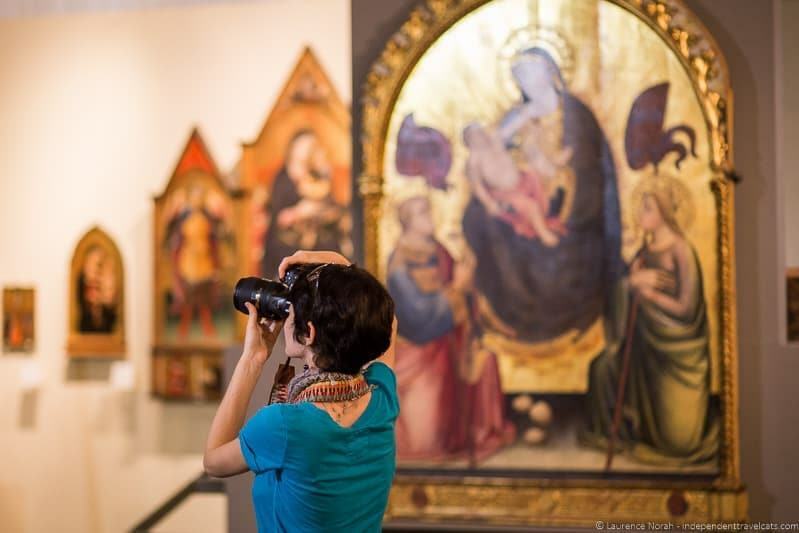 You might also consider visits to the Maritime Museum Washington Patrignani, Oliveriano Museum of Archaeology, Villa Imperiale, the many churches in the town, and the Sephardic Synagogue. In terms of food, Pesaro is very serious about its fish stew and we enjoyed a lunch of the local fish stew and wine in the city market. Following lunch, we all had gelato, admired the bronze “Pomodoro Sphere” by sculptor Arnaldo Pomodoro, and strolled along the coastline and beach. Probably my favorite part of our visit was when Laurence and I strolled along the seemingly endless beach for about an hour, admiring the views, chatting, and finishing gelato. Fano is another of the popular seaside resorts along the northern coast of Le Marche region. 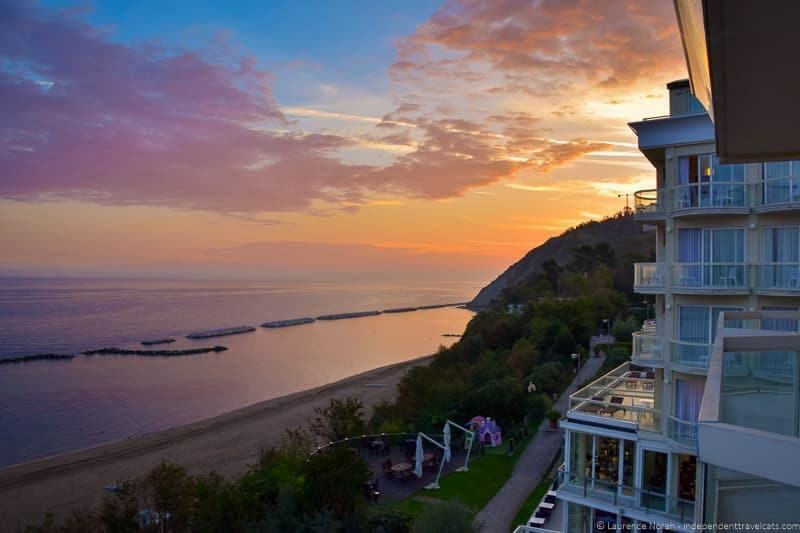 In terms of beaches, you’ll find plenty of sandy beaches in the northern part of Fano (“Lido” area) and pebble beaches along the southern part of the city’s coastline (“Sassonia” or “Saxony” area). Fano was a major stop along the ancient Via Flaminia and you can see a number of historical and cultural monuments from medieval times onwards in and around the city, including the Roman Arch of Augustus, Fountain of Fortune, Theatre of Fortune, Malatesta Palace, Malatesta Castle, archaeological excavations, and a number of churches including the Church of Santa Maria Nuova and Church of San Pietro in Valle. One of the most popular museums is the Museo Civico (Museo Archeologico e Pinacoteca del Palazzo “Malatestiano”) which is located in part of the Malatesta Palace and contains both Roman artifacts and an art gallery. 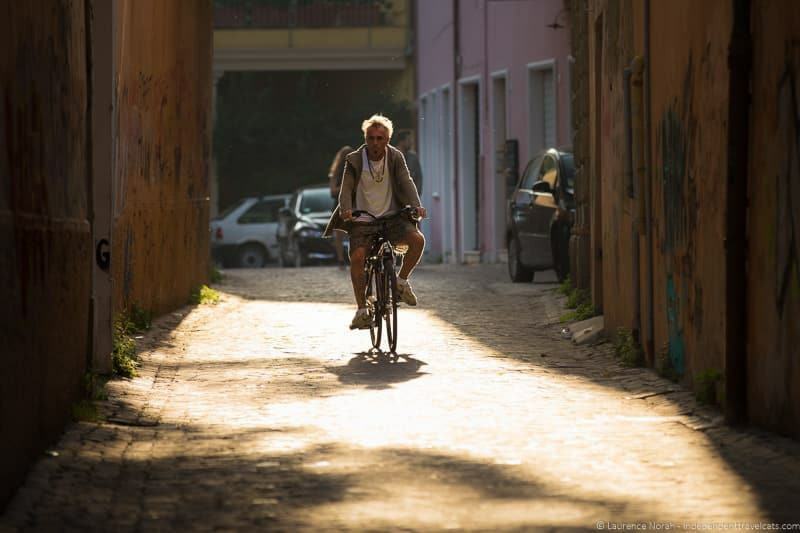 Fano is also a great place for cycling as there is a bike path running from Fano to Pesaro which is part of a national biking path called the Ciclovia Adriatica. Along the dam of the port at Marina dei Cesari is a long promenade which goes along the boat harbor and sea and is a popular place to engage in the Italian passeggiata before dinner. This was also a great spot for sunset (there is a bar and restaurant here if you wanted to stay for dinner) and you can also see a replica of the famously disputed “Lysippos” bronze ancient Greek statue along the promenade. After our passeggiata, we dined that evening at Osteria del Caicco, which is a restaurant occupying a former Benedictine monastery with vaulted stone ceilings, and had the opportunity to sample a number of tasty pasta and seafood dishes. This restaurant serves a number of local dishes including the local fish stew “alla fanese” and the local moretta which is a drink made of three spirits (anise based liquer, rum, and brandy), sugar, lemon peel, and hot coffee. Our last stop of the trip was in the city of Senigallia. 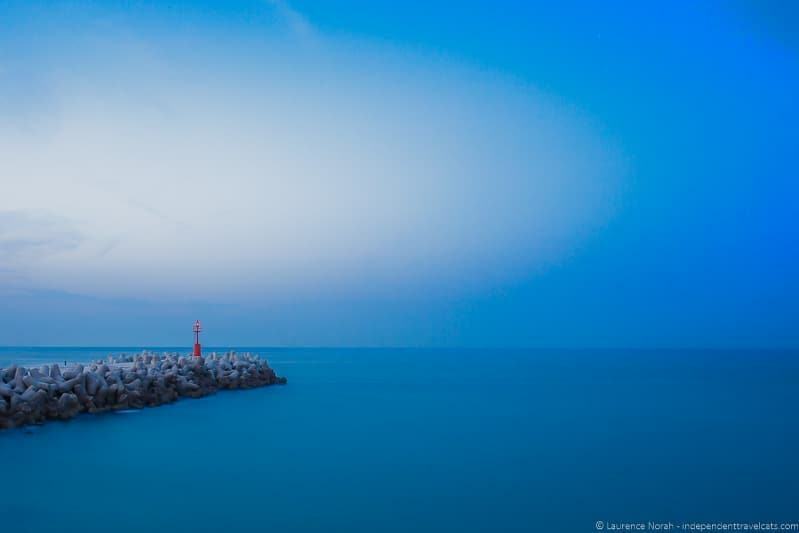 This Italian town is known for its famous “velvet beach” with 13km of coastline of sandy beaches. 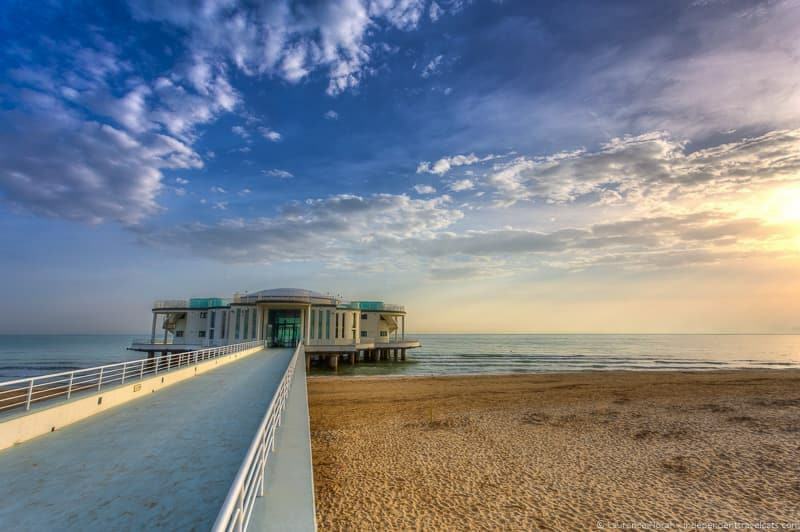 Senigallia is also known for its good Italian restaurants and its Summer Jamboree, which is an international festival dedicated to American music and culture of the 1940’s and 1950’s. Unfortunately, we did not have a lot of time to explore Senigallia and mostly spent time just walking around and seeing the sites from the outside, but the town has both a historical and modern feel at the same time. The town has a number of museums, churches, and historical monuments, including the Rocca Roveresca, Palace of the Duke, Fountain of the Duke, Church of the Cross, and the Museum of Modern Art, Information, and Photography. We did visit the picturesque nineteenth century Rotonda a Mare which sits at the end of a long pier. Once used for hydrotherapy, the Rotonda a Mare has been renovated and is currently used for exhibitions, weddings, and other events. We spent the night at the Albergo Ristorante Bice, which is a clean, well-located and old-fashioned hotel in downtown Senigallia. Overall, we had a great time exploring this relatively unknown region of Italy. During our time in the Le Marche region, we experienced great wine and food (especially the seafood), got to explore some interesting historical and cultural sites, spent a bit of time communing with nature, and walked along some nice beaches. This is a great place for those wanting to see relatively well-preserved Italian towns that are not overrun with tourists and a region you can wander around and savor the experiences without dealing with the hassle of long lines and elbow-jabbing crowds. If you’ve already explored many of the more popular regions of Italy and are longing for a more undiscovered region, Le Marche is a great area to consider. Just beware that long walks on beaches, good Italian food and wine, and lovely sunsets might have you falling in love not only with the region, but with a handsome stranger. This was also the press trip that Laurence and I met and you can read about our “Italian love story” on the Regione Marche’s blog although that is a story for another post! 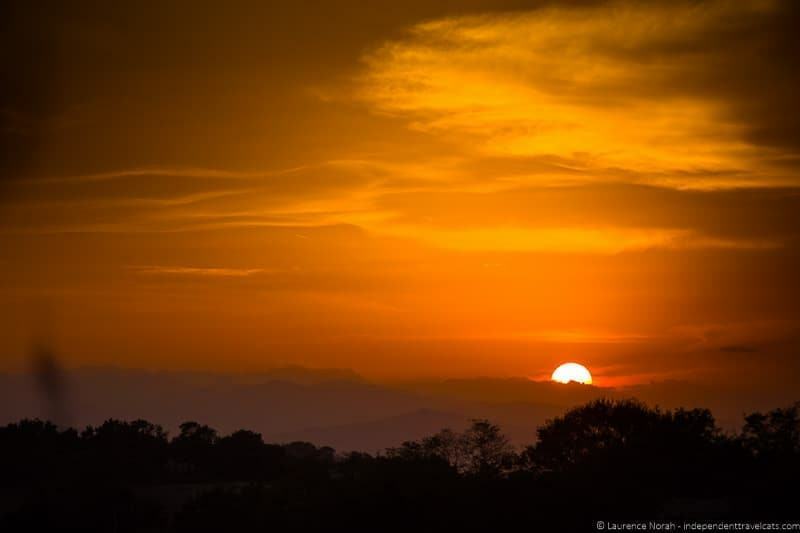 What do you think about Le Marche? Have you heard of or visited this region before? Have any tips to share or questions? As always, we’d love to hear your feedback and are happy to answer any questions. Disclaimer: I was a fully hosted as a “top blogger” at the Travel Blogger Destination Italy conference, and received complimentary accommodations, transport, and meals by the Region Marche during my 3-day trip. However, this post only reflects my honest thoughts and opinions. I was excited to hear of the of the fish stew festival in September, only to click on the link and discover that it is in July. Too bad. 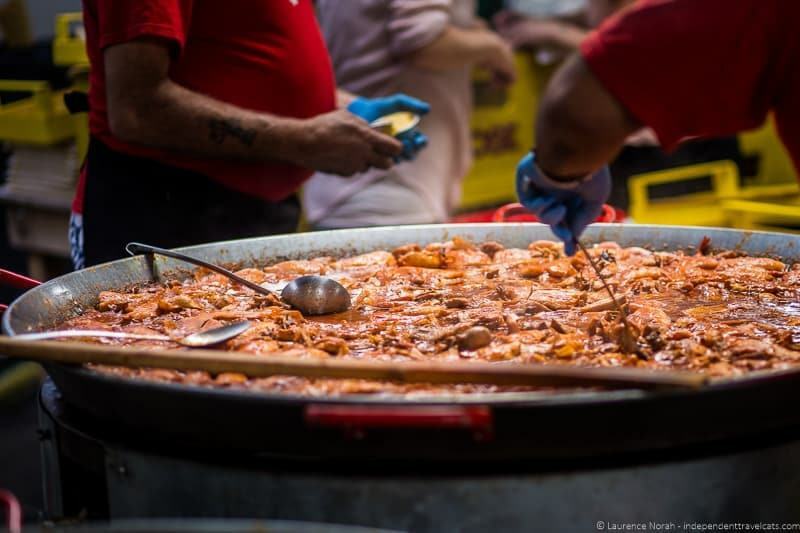 Sorry to hear that, we will update the date of the Festival del Brodetto (fish stew festival) to July. I will edit that to be more clear! However, there is the Il Fuori Brodetto which is what we were initially referring to in the post, which in 2017 and 2018 ran from mid-September to mid-October where chefs compete for the best brodetto and people can try different brodettos for a set price at a number of local restaurants. Part of the reason for this is to attract tourists during a low time in tourism. A great way to try a couple of the local fish stews in Fano (and some restaurants in nearby towns join in as well). Hopefully it will be back for 2019, and as it runs for almost a month, hopefully the dates will correspond with your visit. thank you for describing so well my region. You managed to show all the beauty and potential of this land in a few words. I couldn’t do any better! I hope you’ll be back to Marche to enjoy our area and food again soon and that you’ll go on promoting it to the world. 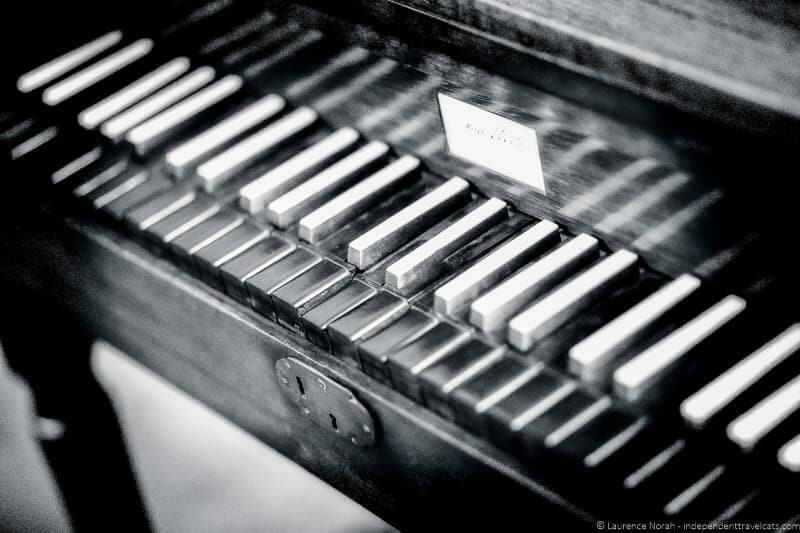 What a fantastic blog about Marche. So much information, advice and guidance! What a beautiful region of Italy! It looks like the perfect place to kick back, explore art and history, and enjoy some delicious food. Thanks for the great recommendations! You’re very welcome! A great region of Italy if you are looking for a quieter place that is not full of mass tourism. We were in Le Marche in October 2010. My cousin (by marriage) has family there and we had a fantastic visit. They are in Fossombrone, and while there we stayed at the Albergo Ristorante Al Lago (http://www.albergoristoranteallago.com/) which was wonderful. We also ate at several great restaurants, one of them that stayed with me is called La Taverna Del Falco, although the link I had for the restaurant is no longer working and I can’t seem to find one that looks as if it’s the place. In any case, we loved Le Marche and would definitely go back to that area to do more exploring. Your post on this area was wonderful and your photos are outstanding. Hi Sarah, thanks for the suggestion. Osimo is about an hour south of the most southern place we went in the Le Marche so it would not have made sense given our limited time and itinerary priorities, but we’d love to explore Osimo on a return visit! We spent 5 weeks in Italy and it was nowhere near enough time, and now I read about this – it’s for sure I need to go back!! Thanks for joining us for Sunday Traveler. Italy has so many interesting regions! I am heading back in October to spend some more time here but hope to keep coming back! Yes, it will also be a trip that Laurence and I will always remember for many reasons:) Yes, I just looked back and noticed that. Great to see you and Nick at TBEX and hope to see you both again soon! So nice to read such an informative post about a region of Italy I knew nothing about! I totally would have pronounced it wrong too, I’d have assumed it would have been pronounced “le marsh”. I love the sound of the traditional meat and pasta dish but I don’t eat beef so I think I’d be having more of the fish stew! Yes, on a press trip you see a lot in a short amount of time. If we had not been on a press trip, I would allow at least 5-7 days to do and see the amount of things we did as it was a bit exhausting! 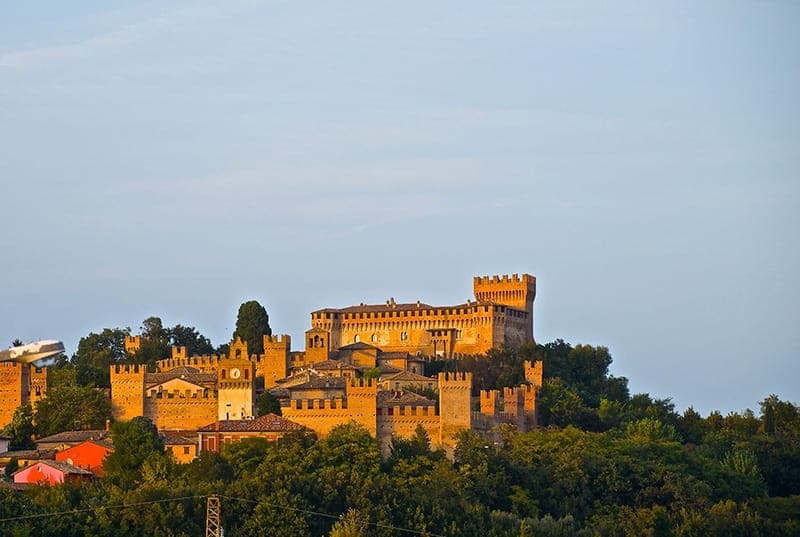 Yes, Gradara is a lovely medieval town to walk around with a great castle, one of my favorite stops of the trip! Jessica, The Le Marche region looks very inviting. Surprisingly, I have not explore much of Italy,so have that on my list. I just always go other places instead. I love your photos. Thanks for linking up with Weekend Travel Inspiration! It is a great region to explore if you want a fairly untouristed region of Italy. I have also not explore that much of Italy but am very excited to return to Italy in October to do more exploring of this wonderful country! 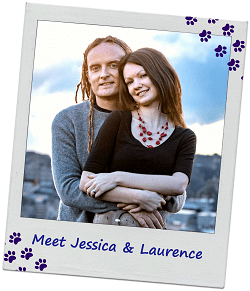 For the photos, I have to give some credit to Laurence as some of these photos are his as well! I had to laugh when I saw the title of this post because I haven’t even experienced the explored areas of Italy yet:) But this looks so lovely. 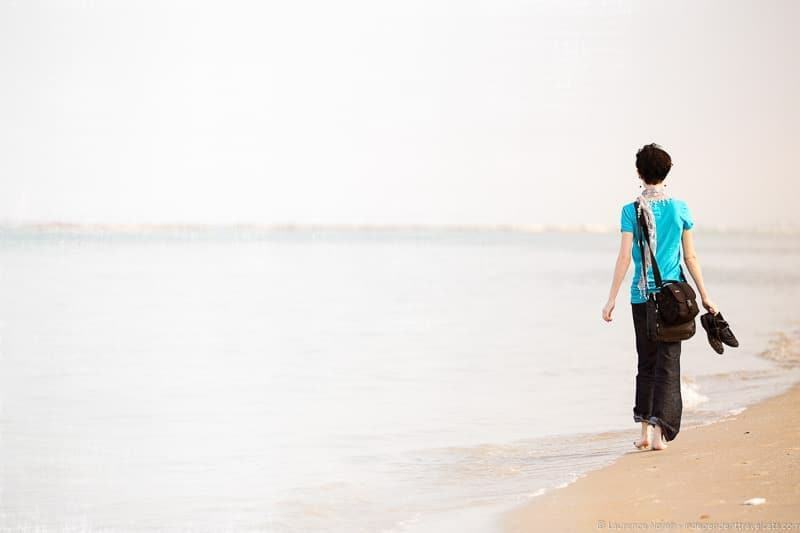 So much to see and do… I think I love anywhere that you can get a glimpse of the sea. Sometimes getting off of the tourist path is so refreshing, and gives you a deeper understanding of what is really like. Hi Seana, incidentally even though I have been to Italy twice I have not visit any of the major destinations of Italy myself! 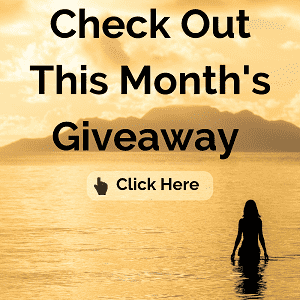 In October we are going to rectify this and we are heading to Venice, Rome, and Florence:) But I really love exploring regions like Le Marche as it is so much less busy and crowded. I have been to all the major places in Italy a long time ago. Flying into Bologna and out of Rome just easier for me and where i live. Trying to decide how to spend my two weeks. Looking at Le Marche region. Going for my 50th birthday to eat, drink, explore, and relax. Any help or thoughts would be great. Do I need to rent a car. We chose to buy a derelict farmhouse (The Hideaway near Amandola) and restore it when we fell in love with Le Marche 14 years ago and the region still remains very undiscovered and unspoilt. 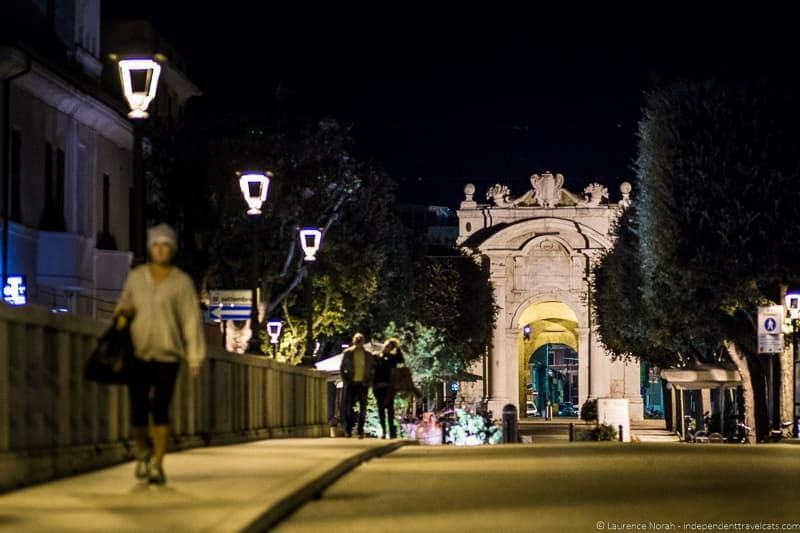 The area can easily be reached with flights from the Uk to Ancona and Pescara and with the new road opening soon, Perugia airport will be less than an hour and half too. So many opportunities to be had with lovely older properties to restore both on the coast and further inland towards the stunning Sibillini National Park, as well as ready-to-go apartments. If you are looking for accommodation whilst coming to stay in the area, http://www.marcheownersdirect.com are a group of like minded holiday home owners who have been through the buying and restoring process and have years and years of experience and tips. Between them they have farmhouses and apartments, boutique hotels, agriturismos and bed and breakfasts and love talking about and sharing advice about buying in the area. Do come and have a look, you won’t be disappointed. Hi Sarah, sounds like you really fell in love with the Le Marche! 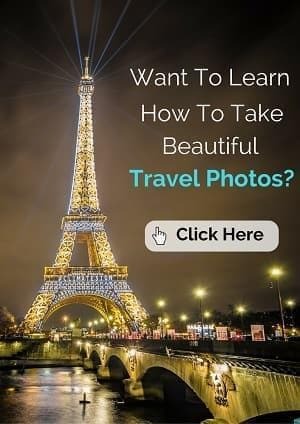 Thanks for all the tips, I am sure these will be helpful for my readers looking for a trip to this wonderful region of Italy.